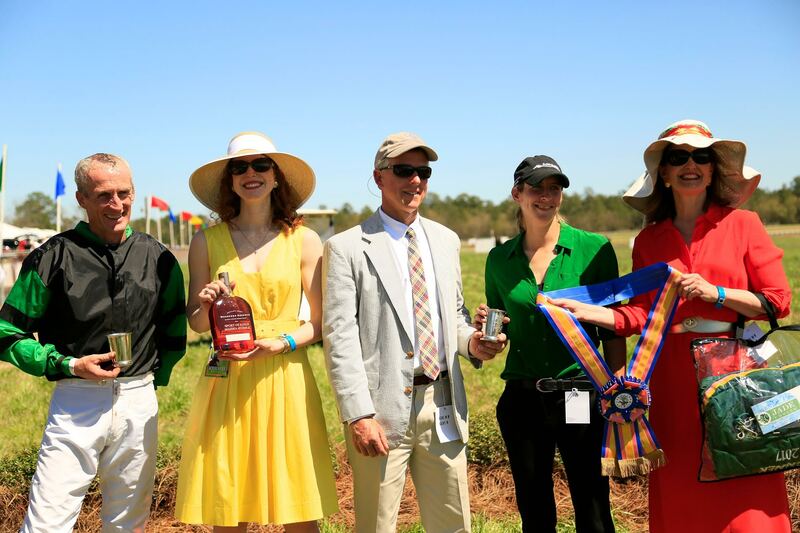 Bright sunshine, cool breezes, delicious food, refreshing drinks, colorful dresses, dashing bowties and large, floppy hats were all hallmarks of this year’s Carolina Cup at the Camden Springdale Race Course on April 1st. 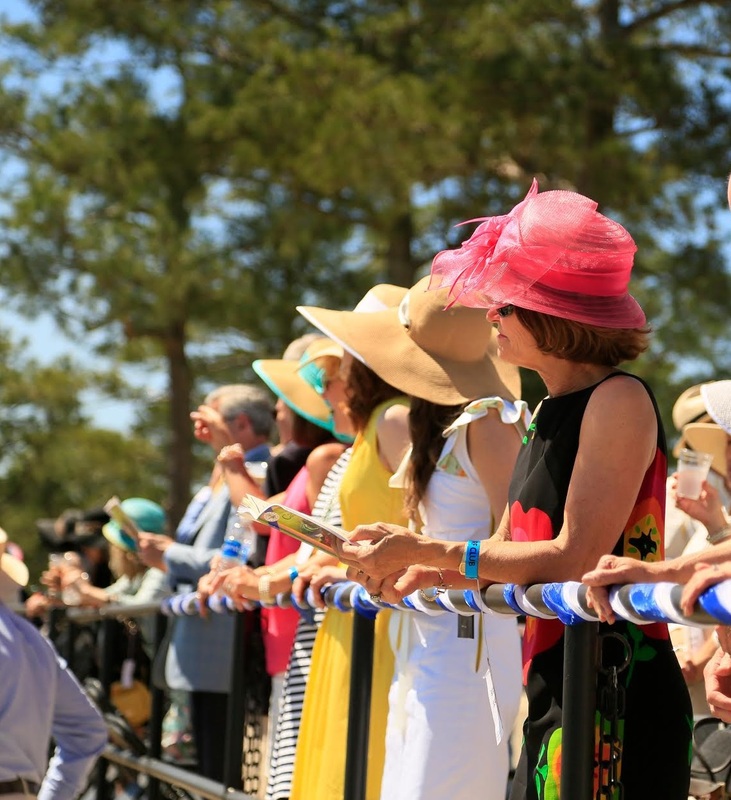 Drawing a crowd of more than 70,000 from around the region for a debonair day at the races, the Carolina Cup was yet again an exciting and successful event for the state of South Carolina, officially kicking off Spring. 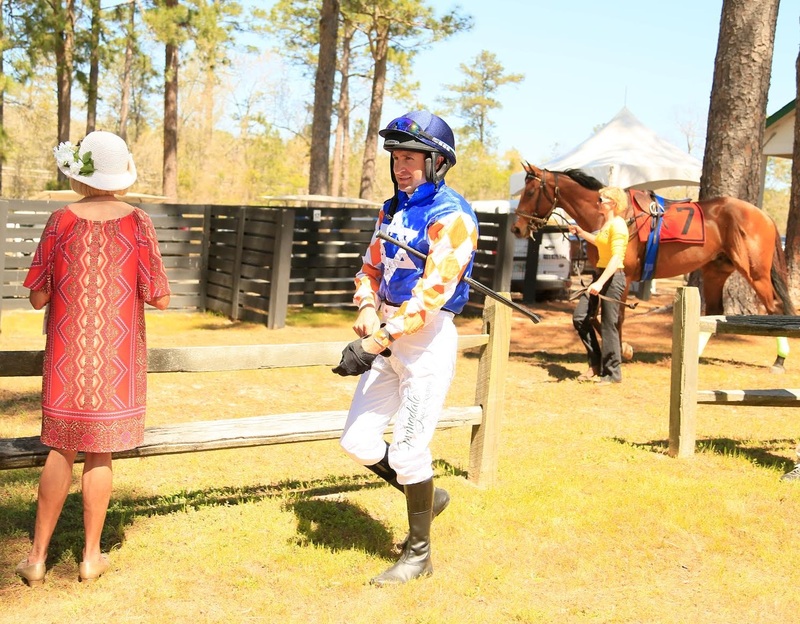 Since the Cup is the first race of the steeplechase season, it is often a gamble as to how many horses are already in shape and fit to race; however, with this year’s unseasonably warm winter, the horses stabled in the northeastern states had ample opportunity to train and thus made for a strong showing at this year’s Carolina Cup. 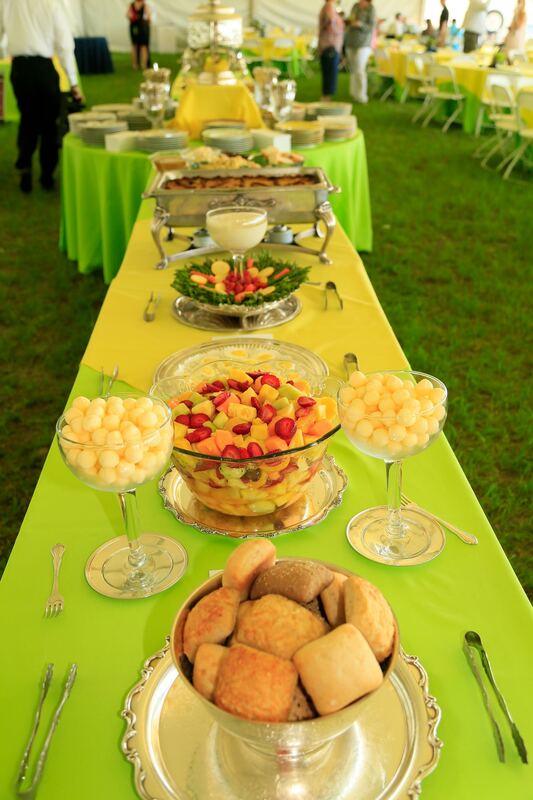 The Columbia Metropolitan Magazine Turf Club Tent, catered by Aberdeen Catery. 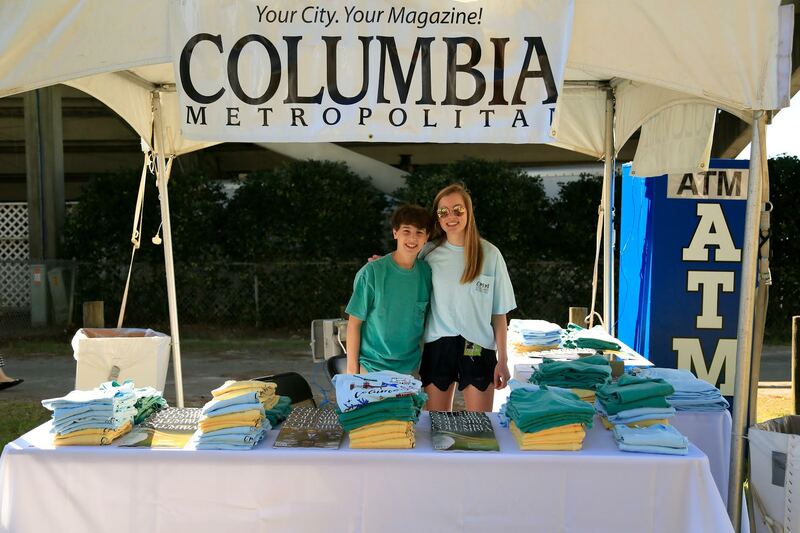 We at Columbia Metropolitan were honored to be the Turf Club Tent sponsor at this year’s event. 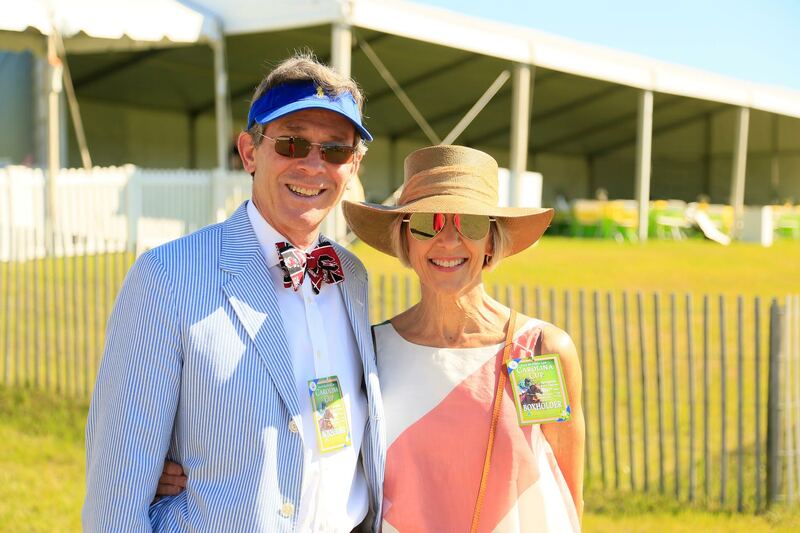 Our tent looked out on the race course where we watched the horses sprint to the finish line. 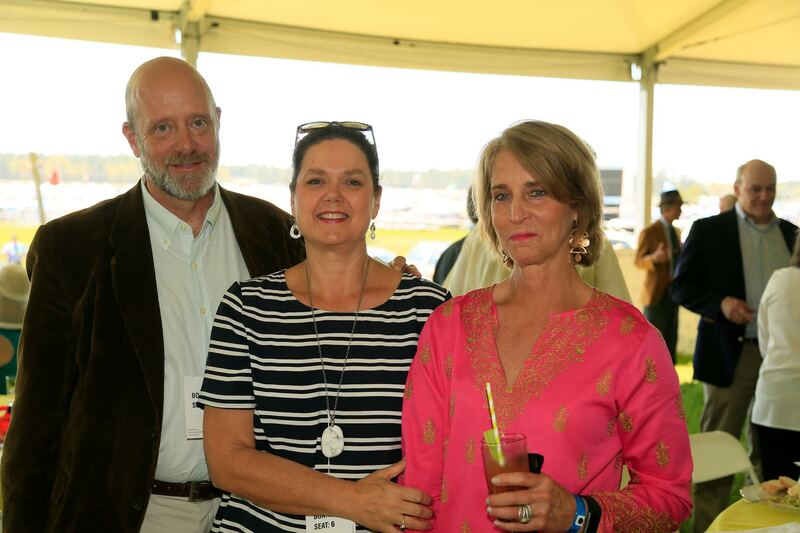 The first of the six races had a 12:30 post time, and we enjoyed watching the shiny, impressive equines parade by from the inner view of the paddock as the horses warmed up, jockeys mounted and racegoers made guesses as to who to put their theoretical money on. 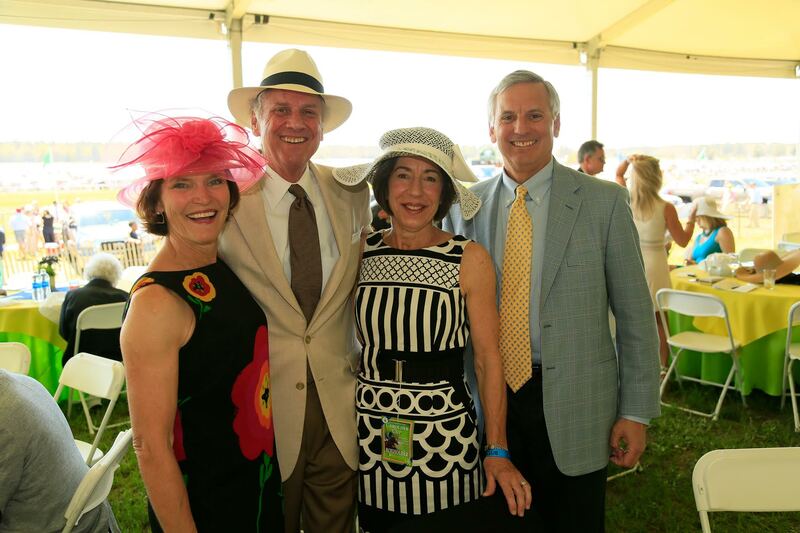 Each race was about 30 to 45 minutes apart and was announced by the energetic trumpeting of the race’s start, at which point we made our way to box seats in the grandstand, or we enjoyed watching the race from our tables in the Turf Club. Both locations offered appealing and unique views of the races. 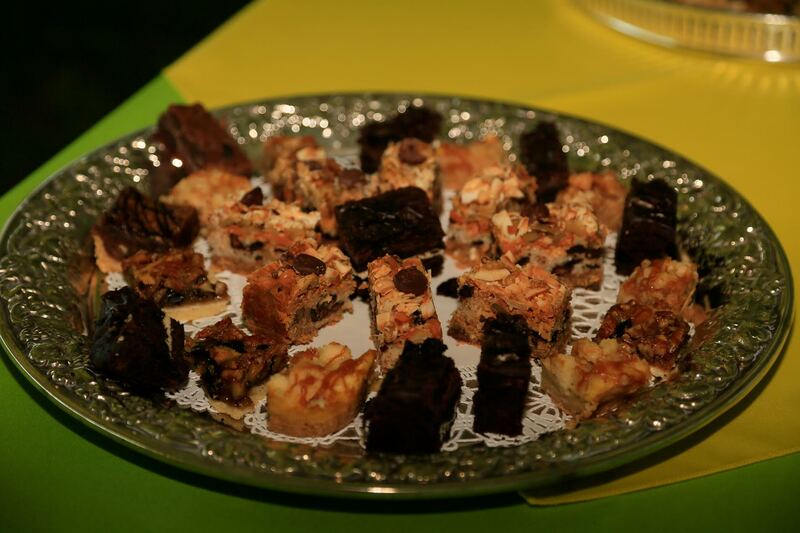 In the between time, we feasted on the delicious food and drinks courtesy of Jack Brantley’s Aberdeen Catery. The view from the inside of the paddock afforded wonderful views of both horse and jockey prior to the races. 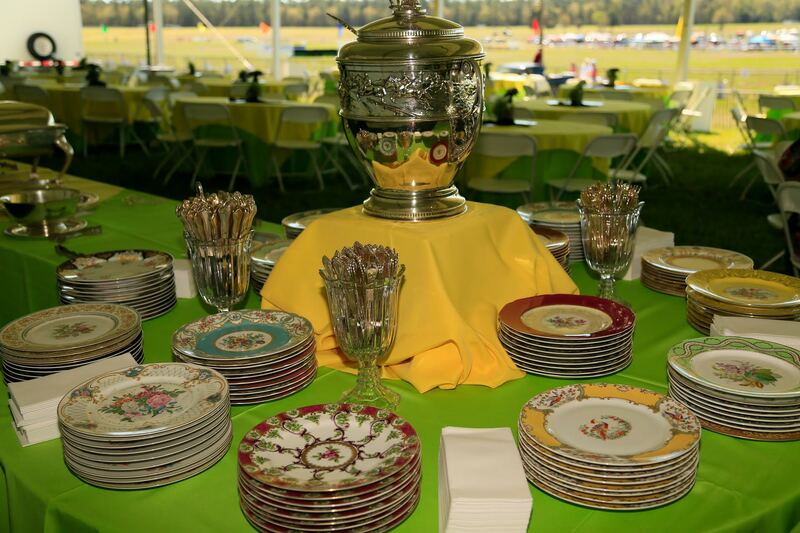 Jack Brantley’s signature fine china and sterling silver gives the Turf Club an extra element of posh. 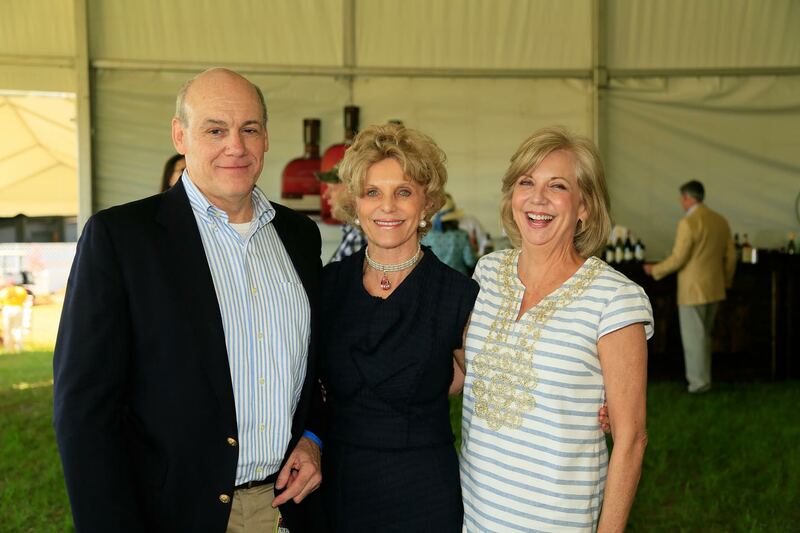 We were in good company in the Turf Club and enjoyed the day with many good friends! We also participated in the Post & Paddock Shoppes where racegoers could purchase T-shirts and subscriptions from our booth manned by Hundley and Stevens Coleman. 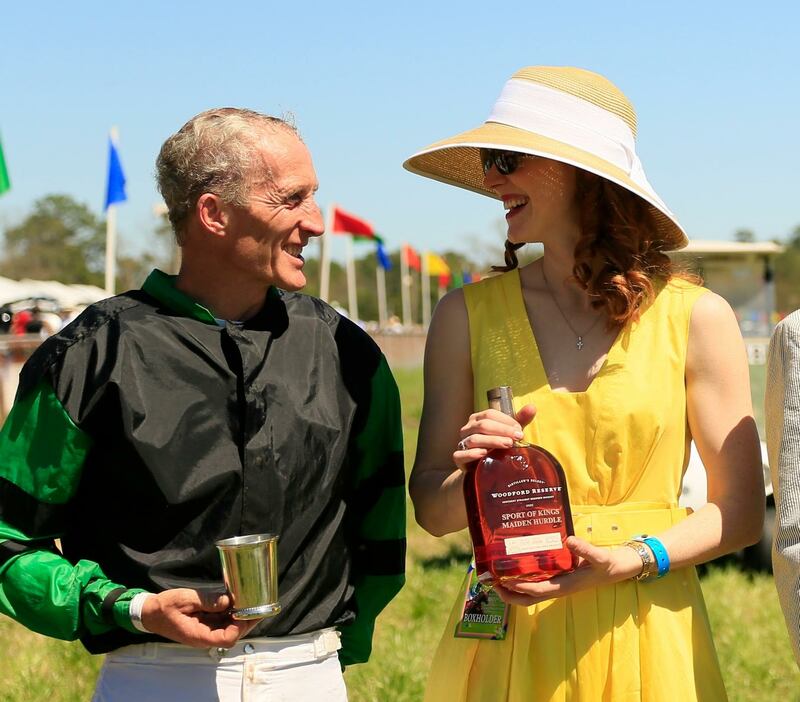 CMM presented the winning ribbon and cups, as well as a bottle of Woodford Reserve Bourbon engraved with race’s name, in the winner’s circle of the second race, “Sport of Kings Maiden Hurdle,” to jockey Bernard Dalton and trainer Nancy Ruch for winning horse Maximum Horsepower. 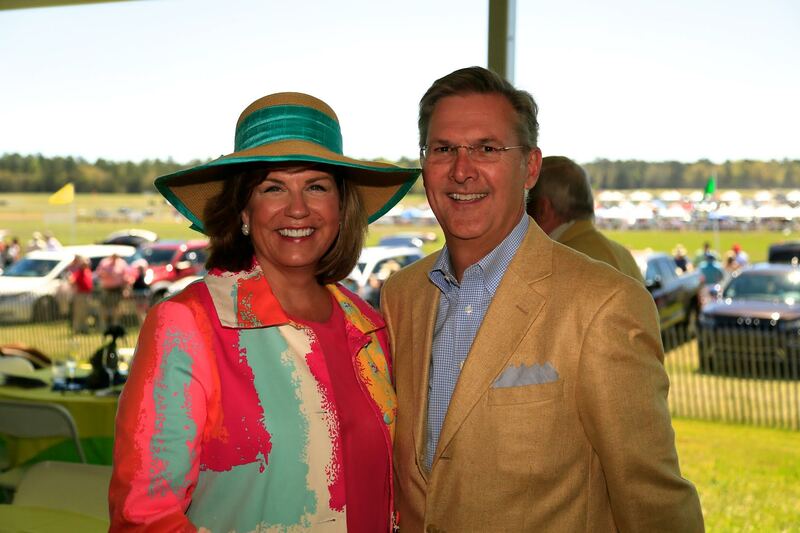 This race has a purse of $30,000.